Something about lettuce wraps just makes them a fun meal to eat … do you know what I mean? You sit down with a heaping pile of wraps, a bowl of delicious filling, and you get to create each one exactly how you want it. Sure, they’re messy (probably not the best first date meal! ), but they’re just fun. Luckily for me – and you! – they can also be a very healthy meal if you make them the “right” way. 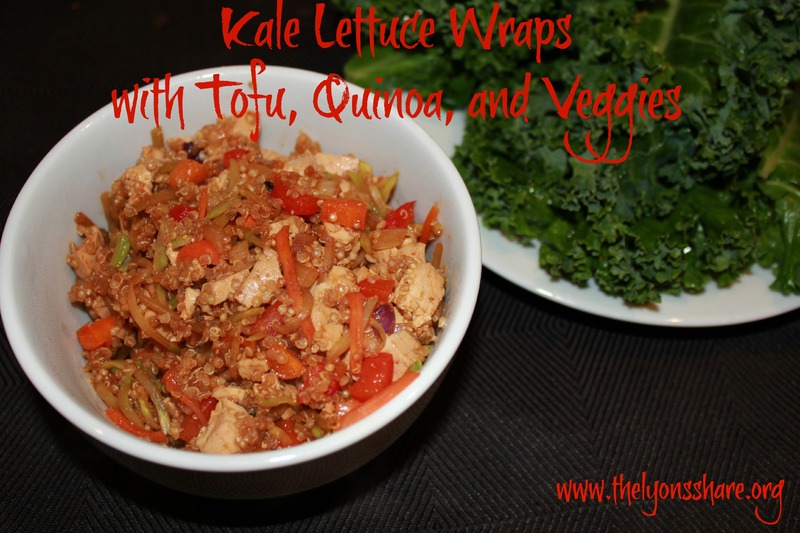 When I made these Tofu Kale Wraps, I didn’t set out with a plan in mind or a model recipe to adapt. I simply had a bunch of kale I needed to use up, as well as part of a package of tofu, some cooked quinoa, and some veggies, and I went to town! The result was very easy, very healthy, and very delicious lettuce wraps. I hope you enjoy them as much as I did! Drain tofu between paper towels, like I showed you here. 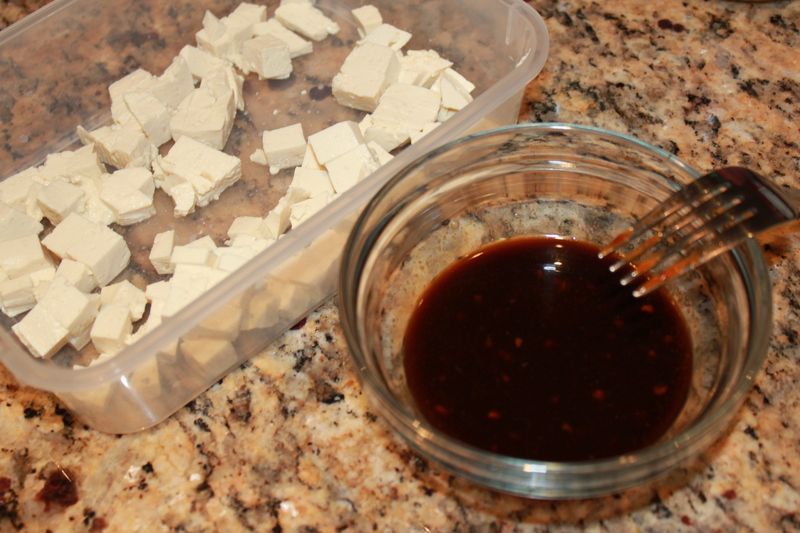 Chop tofu into bite-sized cubes. 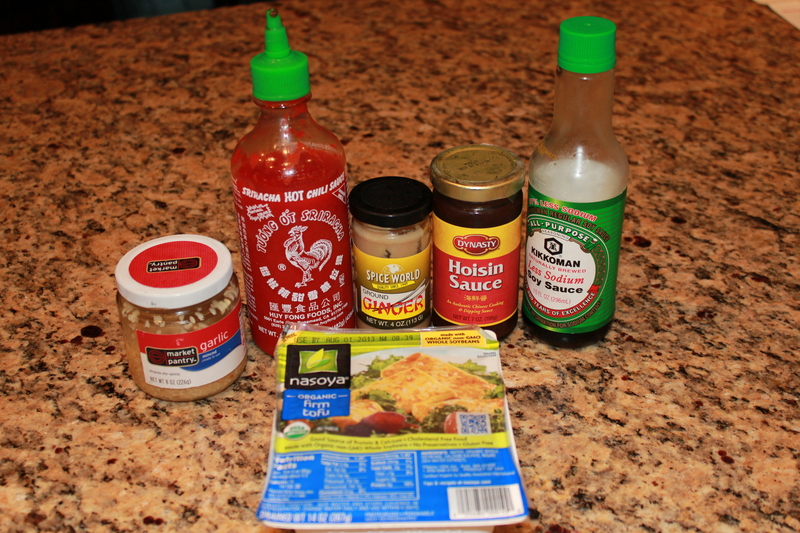 In a resealable container (or bowl that you can cover), mix sauce ingredients (soy sauce, ginger, garlic, hoisin, and sriracha). 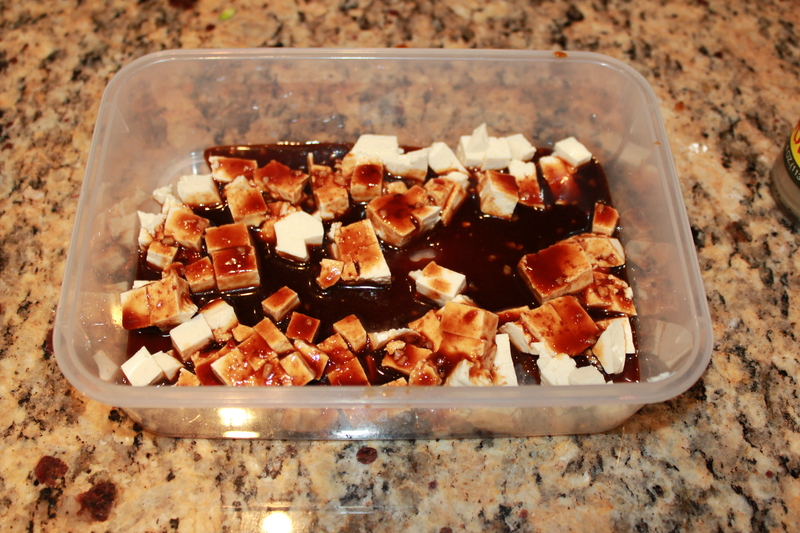 Stir until well combined, then lay tofu cubes into marinade and toss to coat. Cover bowl and let marinate for at least one hour. 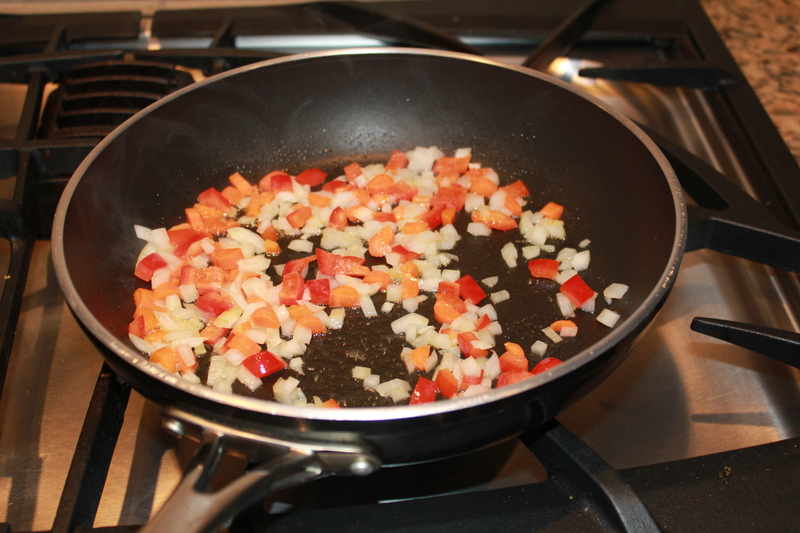 In large skillet sprayed with cooking spray, sautee chopped onion, carrots, and pepper about 5 minutes, or until onion is starting to become translucent. 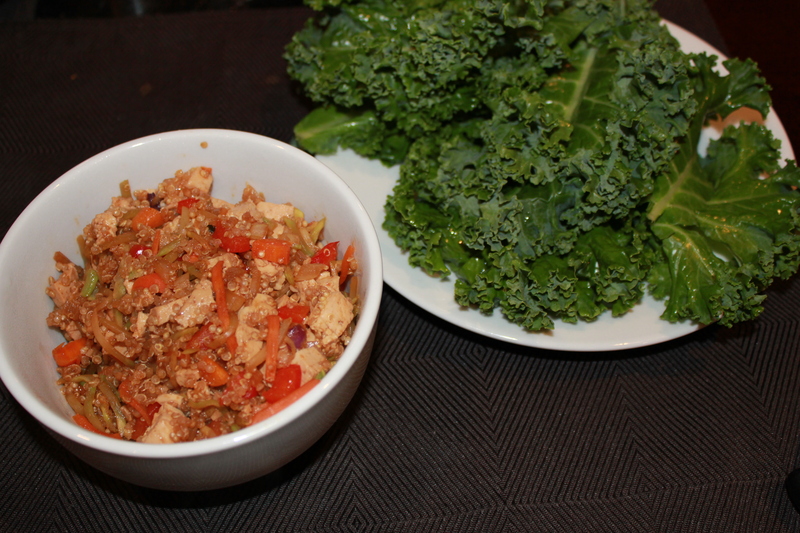 Add broccoli slaw and tofu with marinade, and saute another 4-5 minutes. Meanwhile, rinse your kale thoroughly. Try to pick out the big leaves so you can hold a lot of filling! 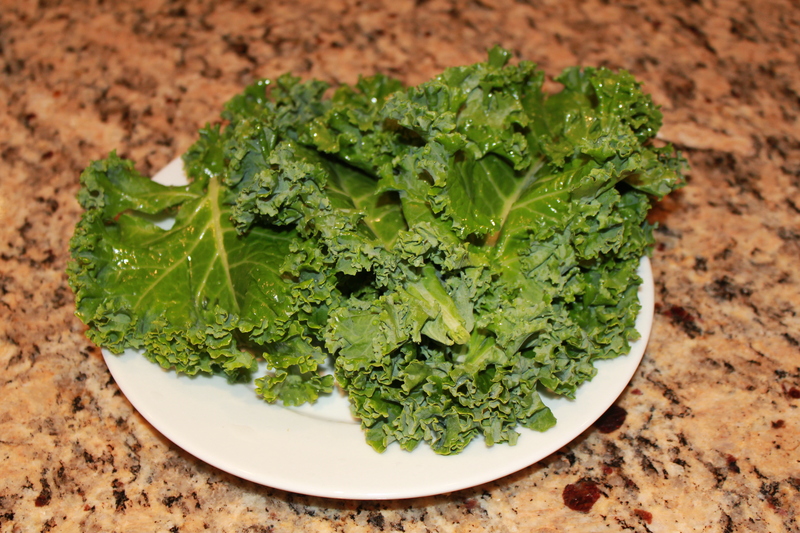 I misted mine with olive oil from my Misto and massaged them a bit (yes, I laugh every time I say that I “massage my kale”!). This will make the leaves a bit softer and more pliable. I find them easier to chew and digest this way. 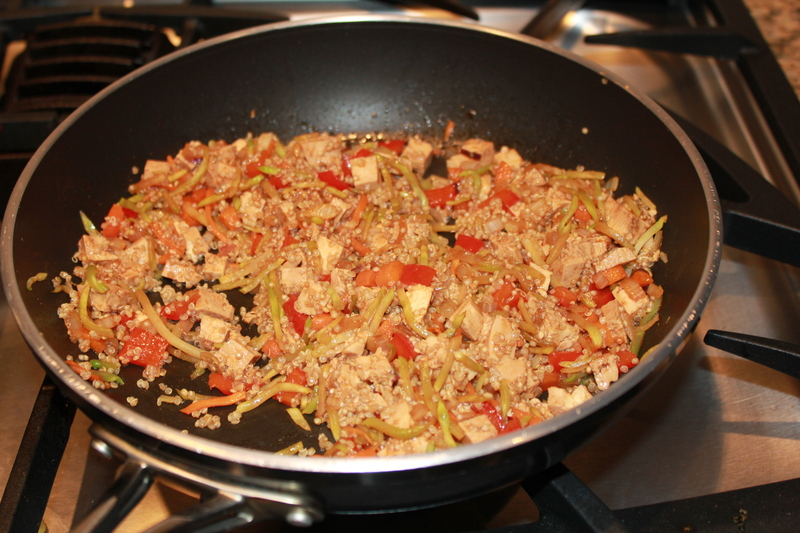 To your skillet of tofu and veggies, add the cooked quinoa, and let sit until quinoa is heated through. Load your fillings into a bowl, and dig in! So tell me in the comments … what meal is fun to eat for you? What do you have planned for this weekend? These look fantastic! I might have to make these soon even though I am pretty sure no one else on my house will touch them. More for me then! They are delicious! Could you give the girls iceberg lettuce wraps or tortillas and have them eat the filling or is tofu a no-go? Hope you enjoy!